Whether that is a good thing or not depends a lot on who you ask. Regardless of your stance on bass, they are a fun fish to target and can provide a different fishing experience from the typical salmonids that most people in the Mt. Hood area are used to. There are many places that hold bass within driving distance of Portland. The Willamette river running through the city has a surprising amount of quality smallmouth, and even a few nice largemouth. The Columbia itself is one of the best smallmouth fisheries in the world, and there are countless sloughs off of I-84 and Highway 14 on the Washington side that hold smallmouth and largemouth, and of course, there is the world famous John Day river. If you go to the east side of the Cascades, there are plenty of reservoirs that have great bass fishing as well. 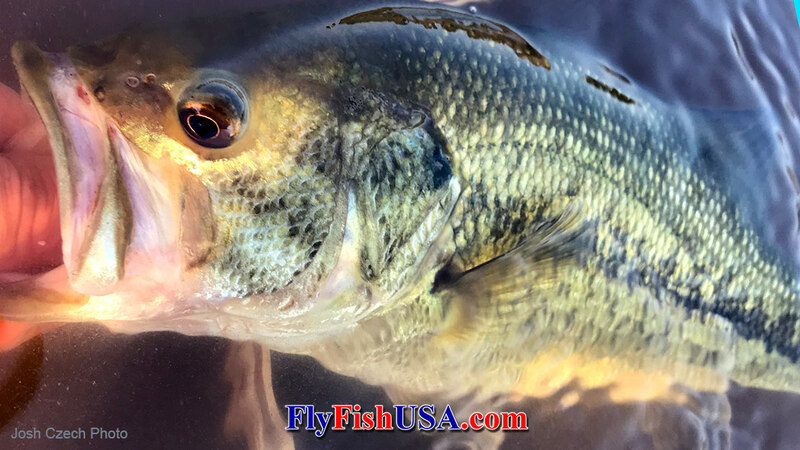 Since Oregon isn’t the natural habitat of bass, the typical “big” bass is a bit smaller than the standard “big” bass in their native range, but they are all broad shouldered and aggressive. I am a die-hard trout angler, but I will swear on a bible, a torah, and even an ODFW regulations booklet, that smallmouth are better fighters pound for pound than trout. Smallmouth just don’t have the stamina that trout do, so the fights will not be as long but they will be spectacular. Smallmouth prefer moving water, unlike their cousin the largemouth. They enjoy eating frogs, crayfish, small fish, large nymphs such as hellgrammites, and literally anything else they can get their mouths around. Out here in the northwest, there aren’t many streams that contain both hellgrammites and smallmouth in the same areas, so you can focus your fly selection on streamers, crayfish, and poppers. This time of year can be fantastic for popper/surface action with bass, so if you’re a guy that likes to see the take, this fishery is for you. Chewy Pops in various sizes and colors are effective, as are Hard Poppers, and Dirty Frigs. The goal when you fish these flies is to make commotion. This is not a delicate wine sipping trout you are casting to. This is a light beer drinking, pot bellied, red-blooded, football watching, hillbilly of a smallmouth and that fish is just looking for an excuse to blow up on your obnoxious popper. I’m pretty sure that most smallmouth have a ’96 home white Cowboys jersey that either says Aikman or Irvin stashed away somewhere. 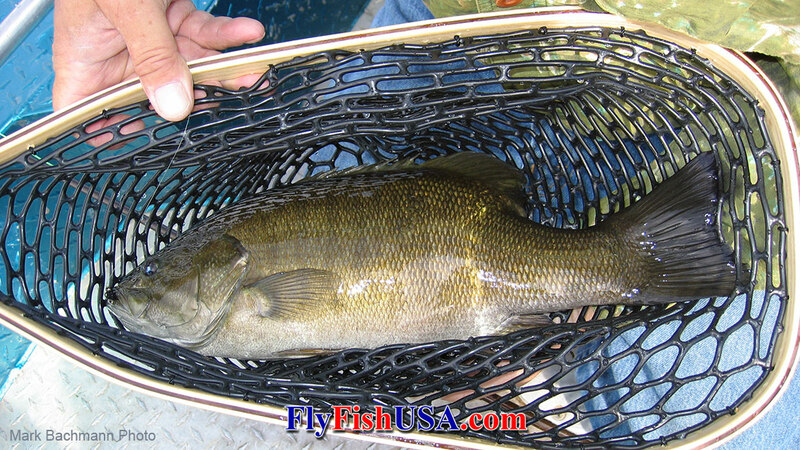 Smallmouth also love to eat things that look injured, such as crayfish or confused baitfish. If you’re fishing the Columbia, look for slow current over a drop off that goes from 3-4 feet to 10-12 feet quickly. The smallmouth will hang off of that drop off and ambush fish all day long and then move into weedy flats type areas in the evenings to cruise and attack poppers and streamers with abandon. Old gravel pit with a spring in it? That’s a bass fishery. Random slough with a mat of algae on the top and more bullfrogs than bank access? That’s a bass fishery. The mouth of pretty much any river that flows into the Columbia in Oregon or Washington? That’s a bass fishery. You will get into some odd places that may not be as picturesque as some of our trout fishing destinations, but you will find fish that are a blast on a fly rod. 6-8 wt rods, 8-9 feet - Heavier weight rods to cut through wind and to throw heavy bass flies. Sage makes a bass specific rod [JLC1]that is fantastic for these applications.